The Sale Will Run On Amazon India And Flipkart With Attractive Offers And Discounts. 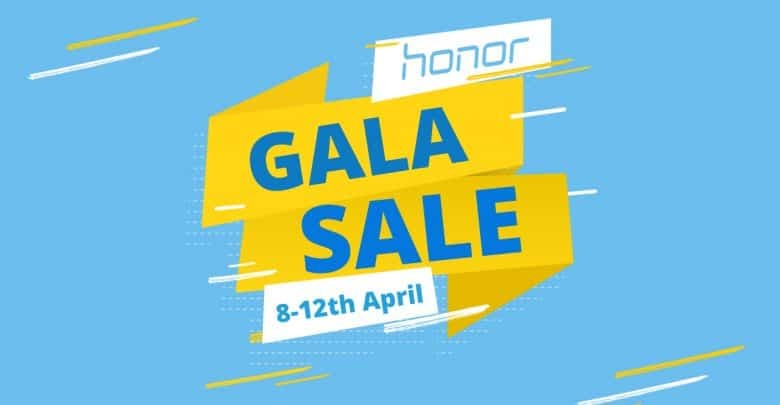 Chinese mobile brand Honor has announced the ‘Honor Gala Festival Sale’ during this month. The sale will run on Amazon India and Flipkart. During this festival, the company will offer up to 50% discount on their products including smartphones, tablets, and wearables. There would be attractive discounts on their smartphone models Honor 9N, Honor 9i, Honor 10 Lite, and others. The five-day sale will be hosted on Amazon India and Flipkart along with Rs. 50 crores offer. Recently, the Honor 8X mobile taking a great market in India. It has beautiful features and specification. To know the news you can read- Honor 8X Mobile Phone Specifications Pricing And Other Features. Besides that, Honor also launched their another device Honor view 20 earlier this year in India. It is the first smartphone in the world to come with a 48-megapixel rear camera. It also has a Time of Flight (ToF) 3D camera which is located at the back. Suhail Tariq, CMO, Honor India, said ” Ever since the brand has launched in India, we have received immense love and commitment from our consumers across the country. In our endeavor to create products that are meaningful to our consumers need and creating a user-friendly technology interface. We have come a long way in India. Hence, we want to heartily thank our consumers by hitting the ground with a massive sale on our pre-eminent products from smartphones, wearable to tablets”. Noor Patel Director, Category Management, Amazon India, said, ” Honor has been one of our trusted partners in providing customers with great quality smartphones, wearables, and tablets. Customers can look forward to exiting Honor Gala Days and get access to their selection great prices on Amazon.in”. Thanks for reading this article. If you have any query or suggestion, please write down your comment in our comment box below.